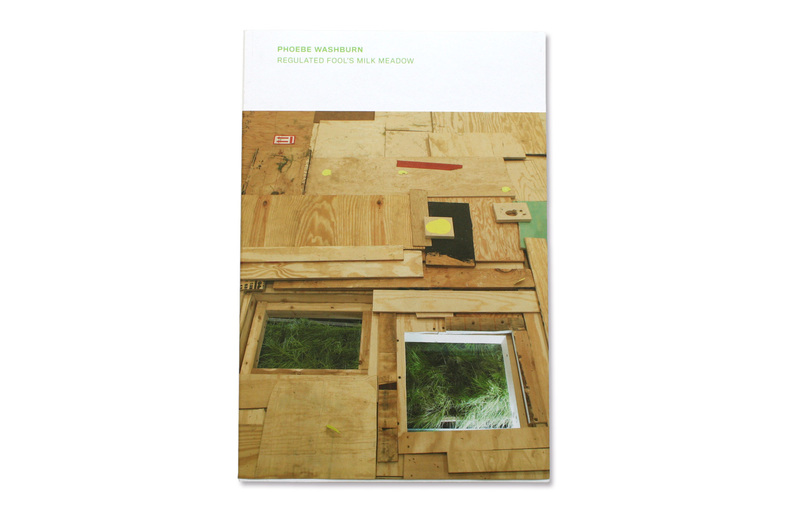 An exhibition catalogue for the Guggenheim Berlin, documenting the process and installation of a single room-sized piece by artist Phoebe Washburn. 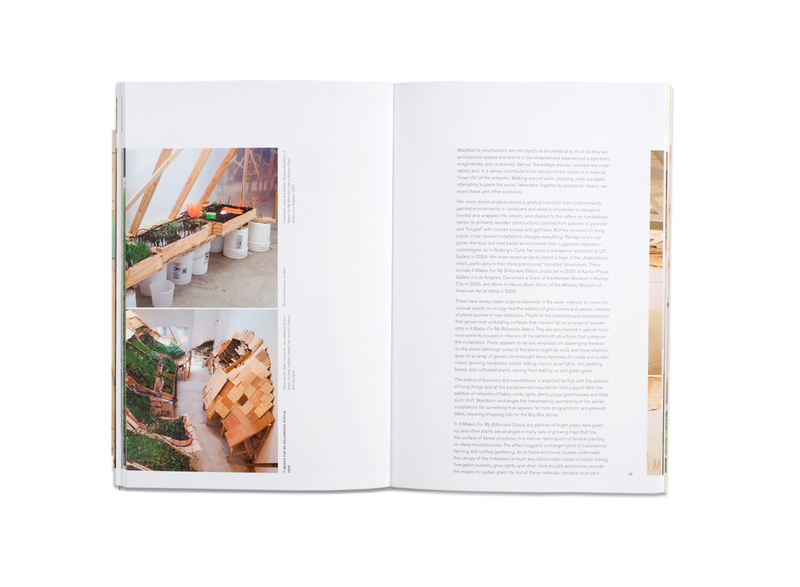 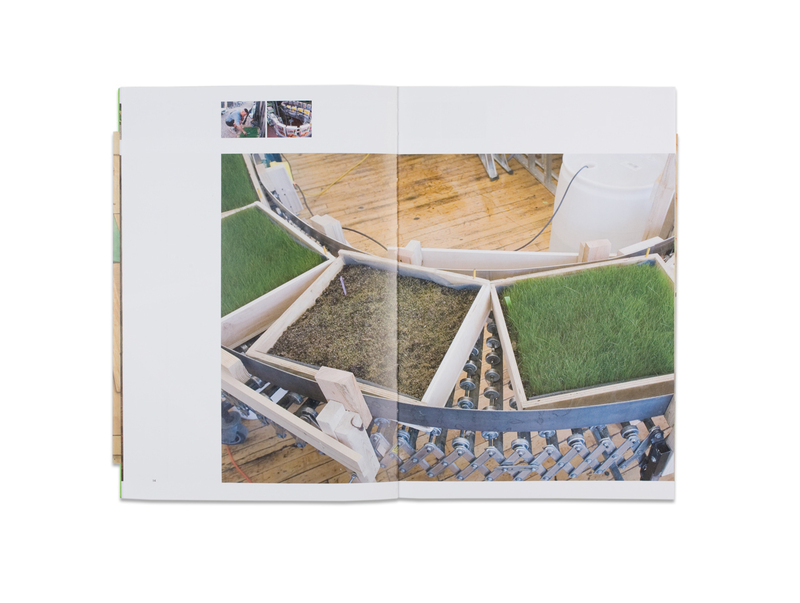 Using the project's conveyor belt as inspiration, we chose to wrap the images over the gutter and around the page edges. 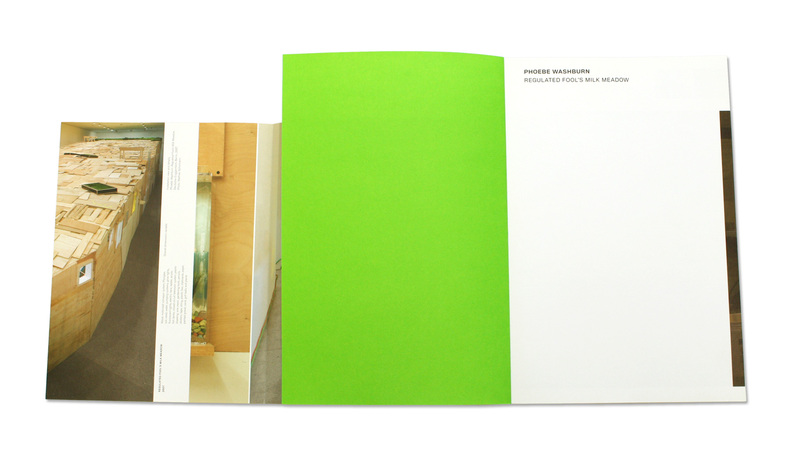 Since the book was designed before the exhibition, we had to think of a clever way to add images of the exhibition after printing. 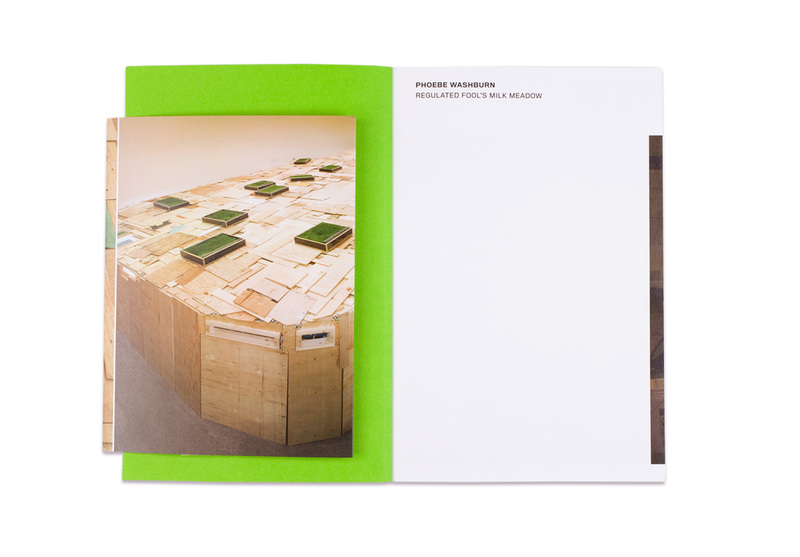 The barrel-fold cover was printed last and displayed images of the installation. 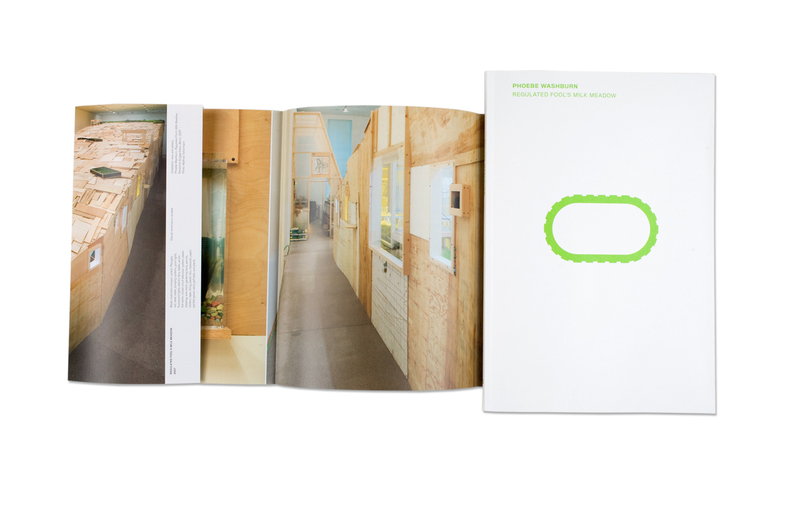 We also designed a logo for the exhibition which the artist used as the brand for elements in the installation.